Before the invention of audio delay technology, music employing a delayed echo had to be recorded in a naturally reverberant space, often an inconvenience for musicians and engineers. The popularity of an easy-to-implement real-time echo effect led to the production of systems offering an all-in-one effects unit. 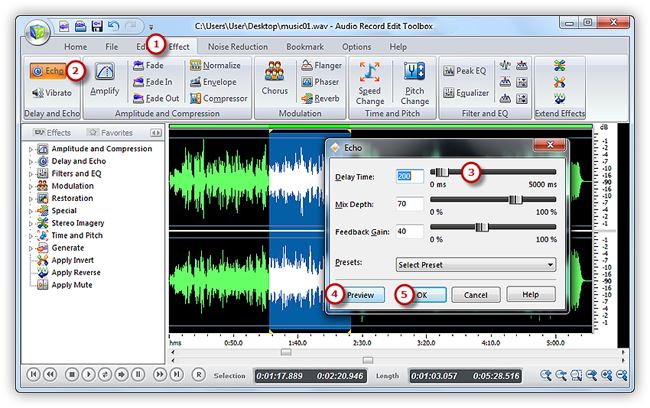 With Audio Record Edit Toolbox you could apply echo and precisely adjust the interval or amplitude. 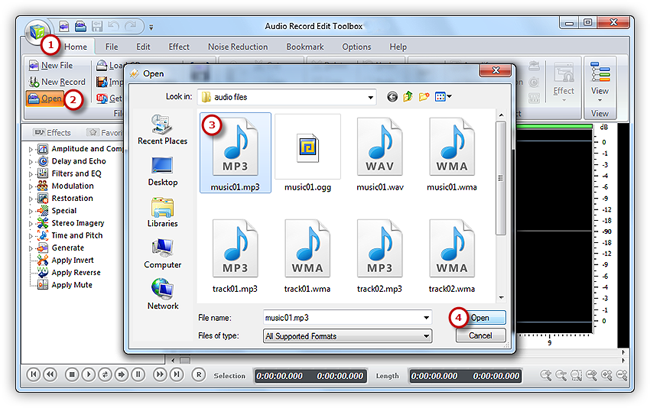 Casual users are also able to select a preset through real-time preview. Now click “Effect” tab and choose “Echo” to activate the setting window. 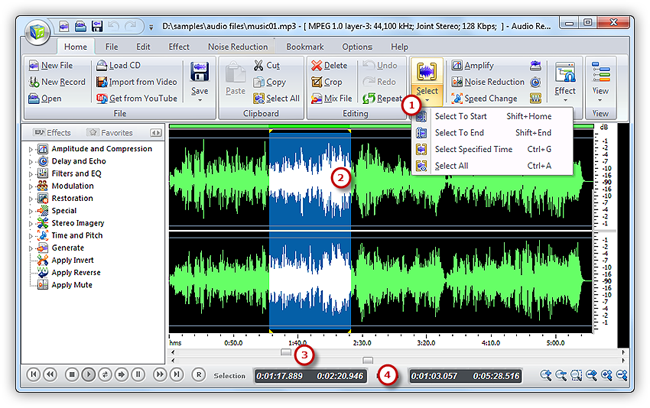 Specify detailed parameters or apply some popular presets to adjust the effect . 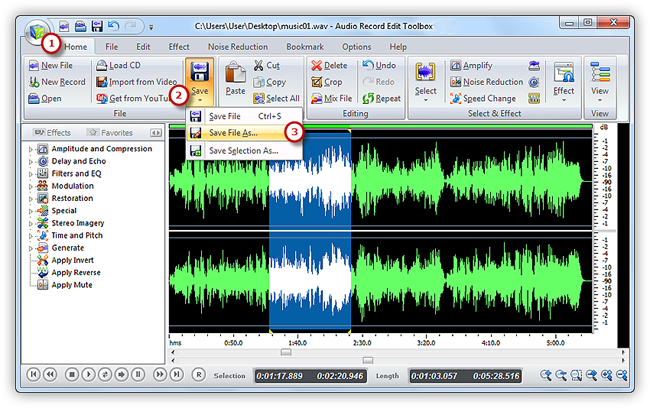 Click “Preview” to listen to the music before adding the effects to the waveform to make sure you get exactly what you want. Then click “OK” to add echo effect to the selected region.